Min-hotel "Cossack Yard" is located in the center of Skhidnytsa resort. In the mini-hotel "Kazatsky Dvorik" guests are provided all conditions for comfortable rest and mineral water treatment. 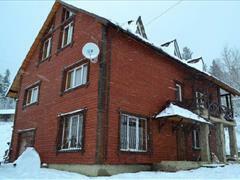 The house is built of natural wood, each room has wooden furniture, a bathroom, a plasma TV. You can choose to walk the central streets of the village and forest paths. 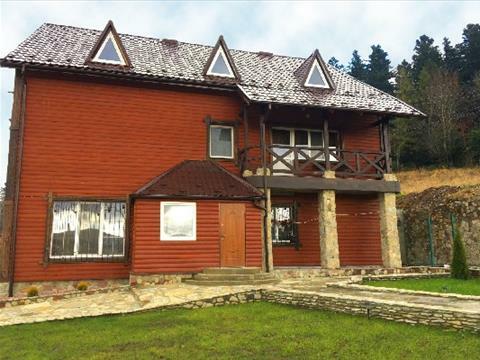 You can see picturesque Carpathians and Skhidnytisia views from the windows of the rooms . St. Kotlyarevsky, 23-A, Skhidnytsia village, Lviv oblast. Mini-hotel « Cossack Yard» is is a wonderful rest and in Skhidnytsia! The message has been sent to handling.